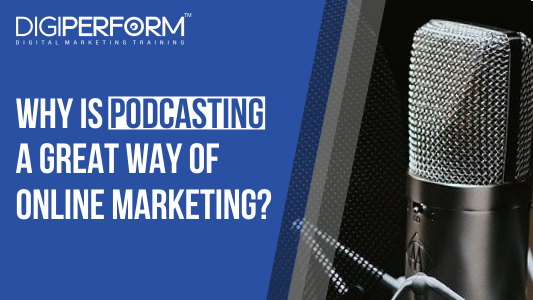 Digiperform > Blog > Business & Digital Marketing Tips > Why is podcasting a great way of online marketing? Why is podcasting a great way of online marketing? Isn’t it a fascinating fact that 67 million Americans listen to podcasts every month! Even Indian Podcasts are gaining huge popularity that shares immense knowledge and the latest trends. 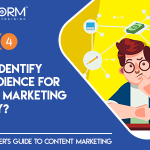 Did you ever give it a thought, that as the emerging online marketer this can be a turning point in your profession when you create informative podcasts? Well, this is something to ponder on now if you did not do it before. However, a podcasting show is not for everyone. Not all internet marketers can be great hosts. The listener also must have the choice and ear for the show to stick to it. Hence it’s going to be an experiment for you, and also a big test of how good you can hold your audience. To start with the basics, you must know what a podcast is, why it is important, how you may make the most out of it, and how to know if you are a good enough marketer to start your podcasting show or not? Let’s have a look to get these answers. Podcasts are talk or chat shows that are held online and are completely vocal. A podcasting show is held by one main host who may be accompanied by guest speakers or co-hosts. A podcast may go live from a website or may get uploaded by the host on a site. Normally podcasts are sent live on a website and can be streamed live. The listeners may also download the podcast after the show is over, for listening later. All old podcasts by the channel or website stay available for download at the web address and can be downloaded for hearing later. A podcast show is similar to a radio show, wherein the talk shows certain matters are discussed. The topic can be discussed in any way, like jovial, informative, educative, debate, etc. As the online internet marketer trying to market your cause, product or website, you can also start your podcast, where you may talk about your products or cause, etc. You can air the podcast at a particular time every week, or certain days of the week, or once or twice a month, etc. as per your convenience. Podcasting certainly is a great way of marketing online. And, there are strong reasons for that. Podcasts give you the freedom to talk creative, freely, and in your style in total comfort. You can freely establish your points, state your opinion, collect speaker opinion, and spread a message. You can do all that vocally, without taking the stress of writing down words or calculating the presentation style and keywords, etc. You need to talk in a convincing, and engaging tone so that you can build an audience who would take an interest in your show. 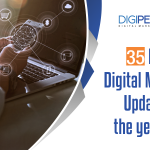 And in this way, you can tell about your website, the latest happenings, the cause you are working for, your product or services, and related topics. You can reach many at once by being vocal. Your words stay recorded that can be listened to by anyone later. Most importantly the data or words you share are free, which would attract many people to collect information from your show, provided you speak and deliver with quality. The show can be hosted alone, and you can speak throughout. To make things more engaging, you can invite in guests at the show from any location of the world. The person need not travel to you. You can talk to guest speakers at their location from yours, and still establish the chat show or discussion. Any and everything can be discussed in a podcast show. If you air the show at a particular time and interval, then you will be creating an audience who would wait for the show and would recognize your identity, and therefore your website or product online. A podcasting show can become your identity and fetch you global recognition faster than all other SEO and internet marketing attempts. You may even get a celebrity status through the show if things click. In that case, your cause and product would automatically get promoted. Are you the right person to start your podcast show? One important thing to first understand, before you plan to start your podcasting show is that, do you have that talent and spark in you to start the show? You must be a good speaker. You should know what you are talking about without losing your way. If you start a topic, you should be able to conclude it with efficiency and prove your point. You must have good tonal quality of voice to get heard clearly and understood clearly. With that clarity of expressions is also a must. You must be able to devote some time into quality speaking with confidence through the show. Your content must have information that matters to the audience. Without helpful, informative data, no one would listen to your show repeatedly. What do you need to start your podcast show? That’s all it needs to start your show. You may add more things to the list which are optional to make things even better. You must have a mobile responsive website as well to reach out to everyone. Inner content of a podcast is free from keyword barriers and yet works great in marketing and branding, and creating awareness. Being a digital marketer, it’s worth a try to start your podcast because you can fetch much attention by being vocal when they have that catchy style of speaking with the right voice qualities. If your show becomes a hit, then you can create a great awareness without going through the arduous labor of extensive SEO.